Located at Chestnut Square in McKinney. This house is on the National Register of Historic Places. Dallas Morning News , August 13, 1998, by Adrian Schofield. Funds sought to fix termite, foundation problems. 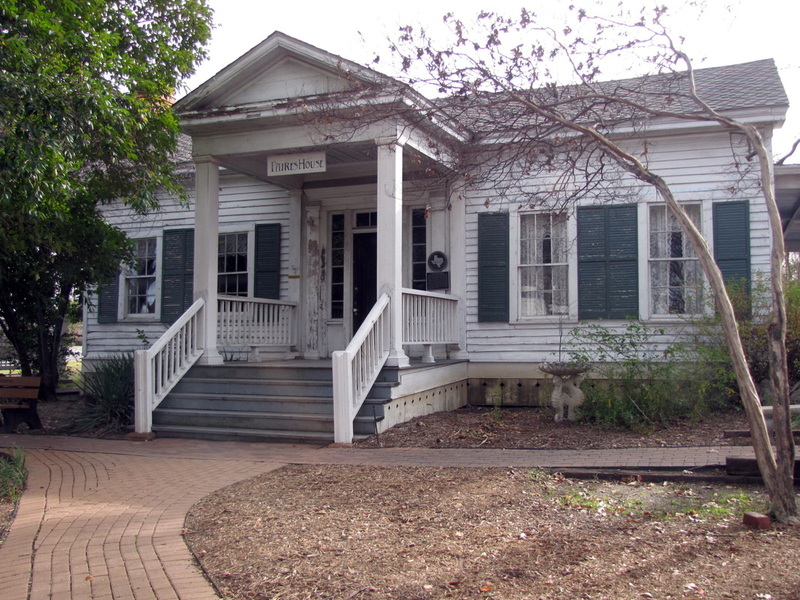 McKinney – After withstanding everything the world could throw at it for nearly 150 years, the Faires House is now facing destruction from within. In 1864, it was on the firing line of the only Civil War action fought in McKinney, when William Clarke Quantrill and his guerilla force skirmished with local Sheriff James L. Reed. Two bullets from this fight were discovered in the foundations of the house in 1980. In 1871, the Faires House was linked to the murder trial of Stephen Ballew, the first white man to be legally executed in Collin County. The jury was sequestered in the house for two weeks.